The destruction of the World Trade Center was predicted in... 1983. 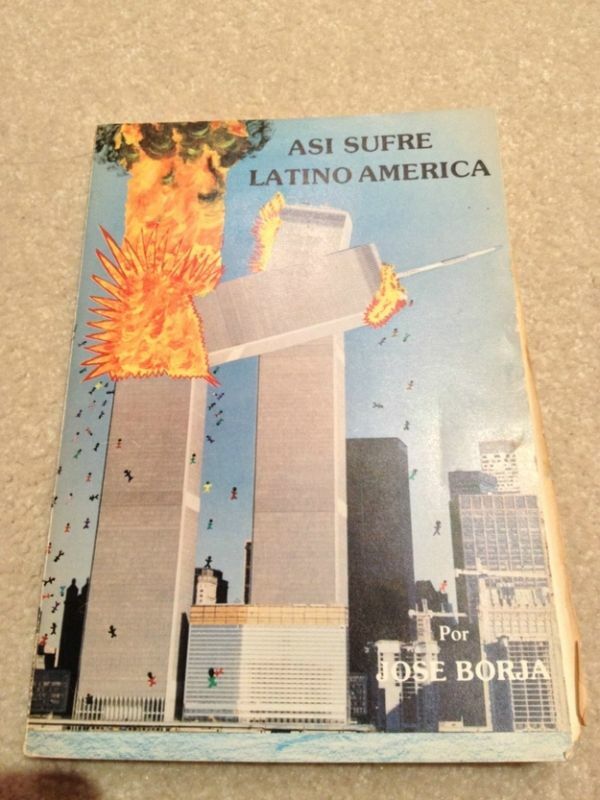 "This is how Latin America suffers"
Jose Borja although Ecuadorian by birth, is best defined as a "world citizen". Veteran and hard life, has faced opponents as found in front, and difficulties that nobody thought existed. While he always emerged victorious, unfortunately two children gave their lives in the battlefield. For one day so decided to write what we say are his memoirs, but in reality have been slowly prophecies have been fulfilled. 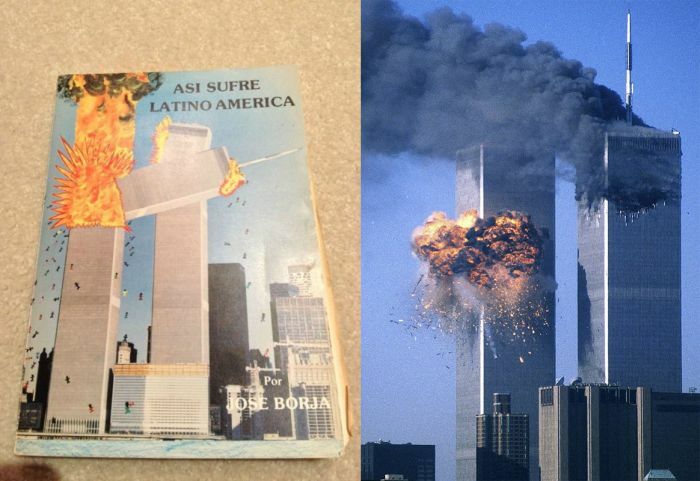 For example, the Twin Towers of New York predicted twenty years before it happened. The cover of this book was published after by many of the world print media highlighting the fact. Borja also has written countless reviews in national and international newspapers, with their traditional direct style, sharp and poignant. Recent years have devoted his life to support ex-merchant seamen and veterans like him, that fate has treated poorly and adrift as human beings. Mierda... Asi sufre Latinoamerica... Pero... sencillamente no tienen nada q ver con latinoamerica... sin embargo la foto es extraordiariamente macabra... mierda, demasiada coincidencia. Learn the definition of "prediction" before accepting random evidence and shoe-horning historical events into them to prove a supposed prediction. Who is the publisher? Al Qaeda?? Problem is, what do you believe these days?